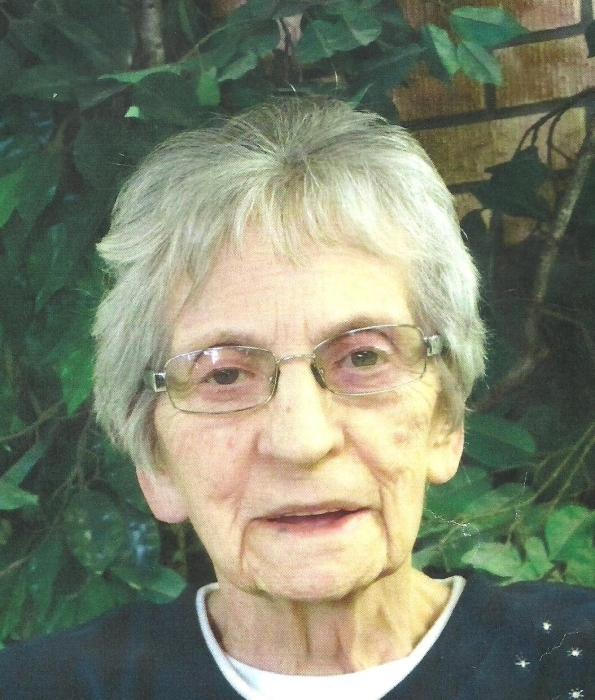 Hazel Kovacs was born in the Dubuc district August 30, 1934 and passed away peacefully in Esterhazy on February 4, 2019. Hazel grew up on the family farm near Dubuc and then moved to Regina. She spent the majority of her life in the Dubuc/Esterhazy area. She fulfilled various roles in the working industry and raised a loving family of four; Daniel, Wayne, Dale and Shirley. Her many interests and activities included dancing, playing cards, gardening, baking and watching sports. Her pies and cinnamon buns remain a fond memory for family members. Hazel is predeceased by her parents Carl Marshall and Isabella Weir; brothers James, Arnold, Lawrence, Carl, Grant, sister Jean Duke, first husband Ernest and son Dale. She will be forever missed by her husband Albert of 57 years, sons Daniel and Wayne, daughter Shirley (Kelly), grandchildren Christy, Kim, Shayna, Shelby, Skye, Chantelle and Bryce (Jennifer) and great granddaughter Claire, sister Isabel Ruse and brother Harvey Weir.